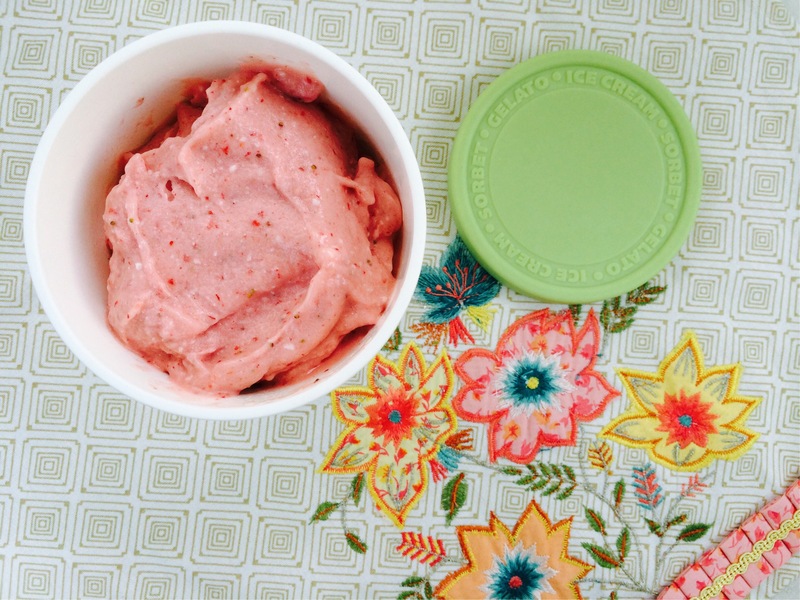 Anyway, I was surfing Instagram the other day and came upon NomNomPaleo’s recipe for strawberry banana ice cream. (Obviously, dairy-free.) Her picture was gorgeous, and again, I realized I had all the ingredients necessary. Score. Spoon into a container and freeze! Both Andrew and I really liked the flavor and texture. With the simple ingredient list, I can see this being something I make with different fruits all summer long!